I'll settle this here: creating your own picture of your own entry is complete originiality. Finding that perfect picture to represent your creature is also perfect originality. However, making your own pictures gets you slightly more points (maybe several tenths at best). It is not damning, nor is it completely victory assuring. Okay? Let's just stop the petty bickering and get back to the competition. @Paraform: I can see how you, being this competition's initial creator, would feel that its your job to assert your opinion. There's nothing wrong with that. But what you said was certainly unnecessary. I don't know how to mod pictures and am lousy drawer ...but i think if you find a picture similar to what you had in mind and describe it well as u imagined it (what u would change and to what,etc...), people will understand your demonstaration. Background: The Clay Smashers are fearsome tanks that are said to represent the ogre warriors of the old. Orc engineer operate these immense fighters from the inside. They are very clumsy, but this is just another threat to the enemy. @Card_Ximinez: I nearly fell out of my seat laughing when I saw Stumble. One question though...how does it get up once it has fallen? Umm... When does the round end? It's been going for more than a week now. I'm just itching to get that Naga started. You can start without the results. Good Luck with Naga week. I'll be around just enough to judge and tally. As usual, HCM me if you want your critique and scores. Beware, for the next two weeks, I may get to your requests late. Sorry for the inconvenience, but its unavoidable. Good luck! Edited by Lexxan at 19:02, 19 Jun 2008. Description:The Sylagae (Sylaga means "Seeing Serpent") were taught by Sylath to master the Naga arts of Divination and Invocation. Although their their great connection to the Dragon of Air, there is no doubt to their loyalty to Shalyssa. 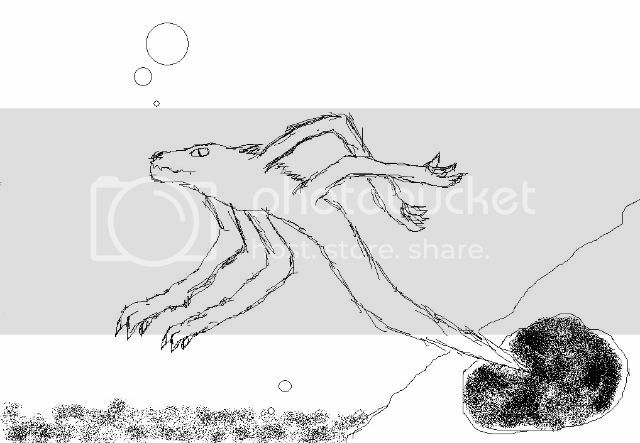 Sylagae are mainly priests, but they can become very lethal when swimming in the sea (like most Nagae). Appearance: The two images are those of a Male and a Female Sylaga. Specials: Caster, Child of the Sea, Spying, Invocation. Note2: For lvl4 creatures, the bonus is 2. Invocation: When casting offencive spells (Dark and Destructive) or attacking, there is a chance that an addtional Destructive spell is cast on the cr's target. Note: the spell that can be cast are: Lightning Bolt, Ice Bolt and Eldritch arrow and the Hero's spellpower level. Note2: the chance of invocation for Sylagae and Seer is 8% and 12% for Oracles. Description: The Seers are the Male Sylaga who masters the power of Sight. These tricksters can even predict the moves of their foes, which makes them a dangerous force in battle. Appearance: This time the Sylaga is definately male. He wears a Spiky golden crown ornamented with Rubies and Saphies. His staff has a spike on one end, making is some sort of spear. the scales of the Seer are Golden and shine in the bright sunlight. They don't wair any belt. Description: The female Sylagae's magical aspect is trained rather than their physical aspect. Being powerfull spellcaster to the last degree, the Oracles have turned their backs on Sylath completely and turned towards Shalyssa instead, making their Water Spells exptremely powerfull. Appearance: The Scales of the Oracles aren't green, but azure. The Oracle wears a feathered crown and jewelry that's adorned with feathers. Her staff in adorned with feather and gems too. Specials: Caster, Child of the Sea, Spying, Invocation, Energy Channel. Move: the Sylaga curls and coils like any other snake. The sound when moving is identical to the sound the H3 medusa makes while it moves. Cursor moves over them: The Sylagae stretch out their arms and look upward, as if they try to embrace the Sun. Attack in melee Sylagae and Oracles take the knife from the belt and stab the enemy with it. Seer poke the enemy with the spiky end of their staff. Get wounded: they simply recoil and hiss to the enemy. Get Killed: The fall backwarts on their backs and spread their arms, so that they look like Jesus nailed to the cross. An Enemy Stack is killed: The stand on the end of their tale (like humans stand on their toes) and stretch their arms to the sky as if they thank the Gods for killing the stack. Hmm. Honestly the Airship seems a bit to familiar to me (sorry GL). That is why I would have placed it a bit lower on my list. Not that it is not a good entry mind. Lex's entry was interesting, and had some good aspects. Again the 'tank' aspect was a bit much for me. I felt Daystar's entry, while good, was not up to his usual standards. Reminded me a bit of Rush from Mega Man too. (Sorry ). My list would have been a bit different from Sith's, but his ranking is of course the one we go by . I hope my comments don't come accross to harsh, I said I would give my opinon on the entries. (Mostly what I would put as the top 3 tho ). Anyhow, good entries all. Good job with the judging Sith. I am looking forward to this round. Edited by radar at 14:26, 15 Jun 2008. Living Creature. Large Creature. Cleave. Fury. Bloodthirsty. Fury - every time this creature is attacked, spell Righteous Might is casted on it automaticly. Beginning with None, the spell's mastery increases with each attack suffered, up to Expert. Bloodthirsty - if this creature succeeds performing second attack due to Cleave, it gains life draining bonus to that attack. I knew that Daystar would win. Hehe, he's got an average of 1st place! My average is 3rd. I even came 3rd place on both ICTC2 and ICTC3. I have no idea what to do on the Naga round, though. I wish everyone luck. Radar - really interesting entry! I like the special abilities, but I think that it came out too strong. It will be perfectly balanced if you just take off the Cleave ability, don't you think? it annoys me that there is no justification for the ranking. mine would probably have been different (don't know how exactly) but there is mainly one thing which bothers me. why is cepheus 2nd? 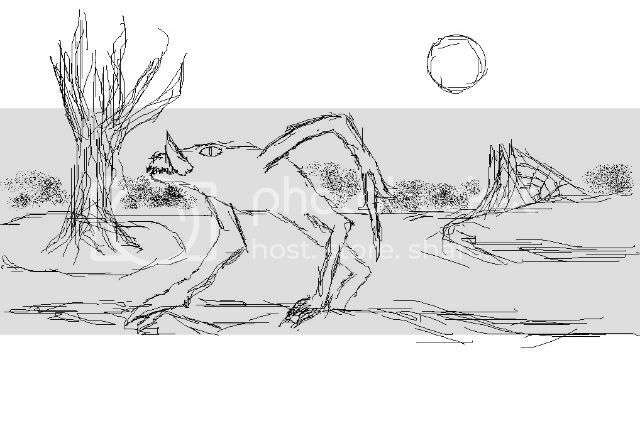 ok, he made an original and interesting creature, but it is off the point. a mechanical creature was expected, he made an elemental one. Second week - Automoton - Mechanical Creatures, made in forbidden labrotories, by insane creators. Wizards, eat your heart out. he made an elemental one. It's mechanical as in similar to a War Machine... can't move, can't attack normally i.e. the Heroes V "Mechanical" ability. I don't care about the balance, she's a neutral creature. Just look at the H5 Mummy. I'll take No Enemy Retaliation off for you. What will make it even stronger, lol. Edited by radar at 15:54, 15 Jun 2008. Nah Fury wouldn't work on retaliations, only on direct attacks. Edited by Lord_Evil at 18:25, 16 Jun 2008. 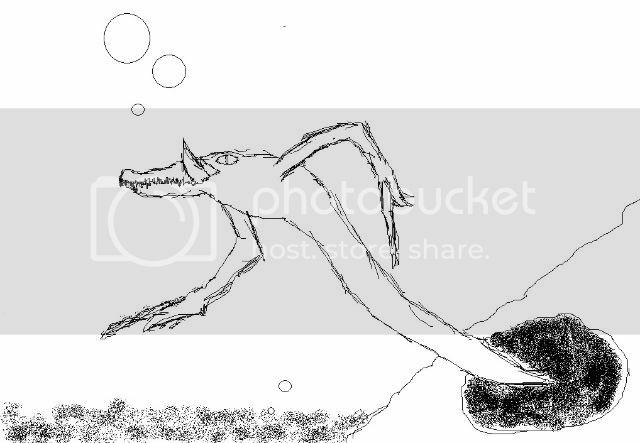 This is the oldest naga to be discovered so far, no body knows how it was created but what is certain that its a combinatin of a croc, a frog, a snake and demonic blood. Because of its wild nature and low intelligence even the basic peasant considered smart. The main thing that makes it so dangerous its the fact that it has a poisonous sting on its left hand, but the most amazing thing about this naga is not only its the oldest naga species to be found its also a naga with no snake body. Water Born: This creature gets a bonus of +1 to speed, +1 to Initiative when batteling in the water. More intelligent but less offensive. 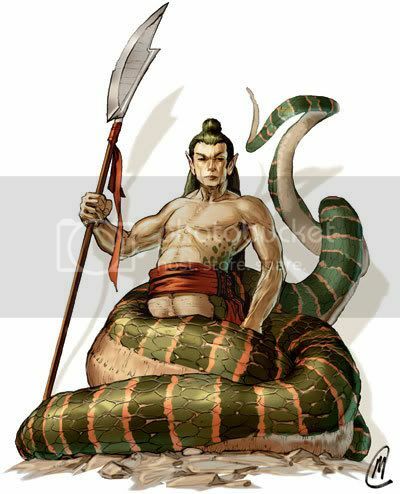 Those nagas gone to live in the bottom of the sea far away from other creatures, they discovered magic, lost their poisonous sting and evolved into the snake body naga we know today. Eventhough its abit more intelligent then its first form its still not smart enough to enter other factions. 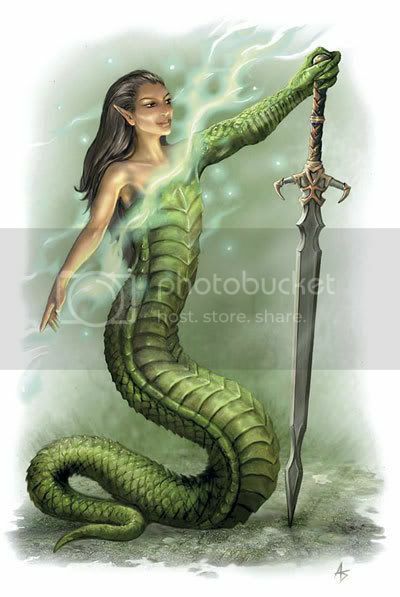 The most fearsome naga to be, more evil, more powerful and more deadly. When time came they evolved into snake body nagas too, only with something more. It is the perfect creature for the stronghold. @Fauch: Please, if you want how you did with my comments and such, HCM me the request. (I've said this at least twice before). Any requests for judge's comments and rates can still be submitted for the next two weeks. However, I will most likely not answer them if not submitted on Friday, Saturday, or Sunday. I have a busy two weeks ahead of me. If you pre-HCM me for the next two weeks, I should be able to send you your critiques. Thank you for your cooperation. I will not have time to get on HC for today through Thursday of both this and next weeks. As per Cepheus's entry...Yes, I know it was not an Automaton. I scored it as such. It still averaged second place. Settled? Good luck with the Naga! Give me some serpentine creativity! I used the send e-mail button (for the 1st round) it's not how hcm works?